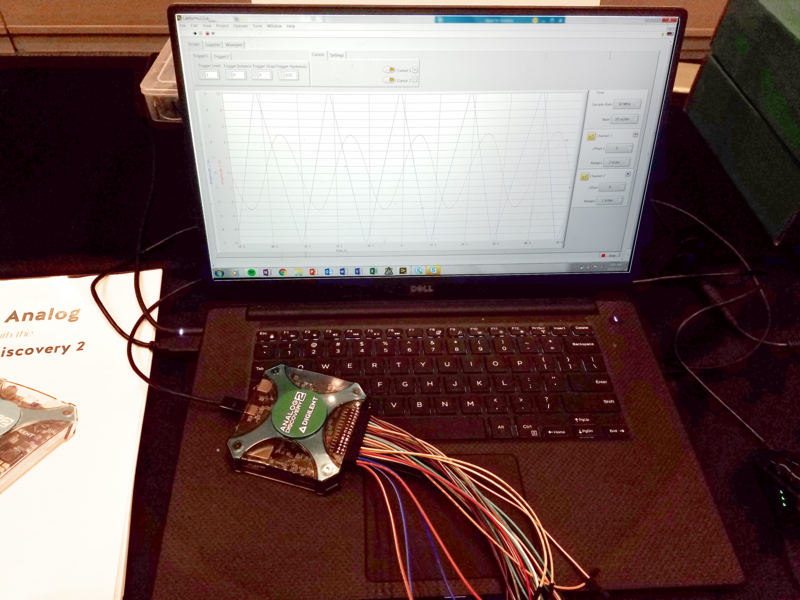 Digilent was at NI Week 2017 last week… and that means that the Analog Discovery 2 made an appearance! 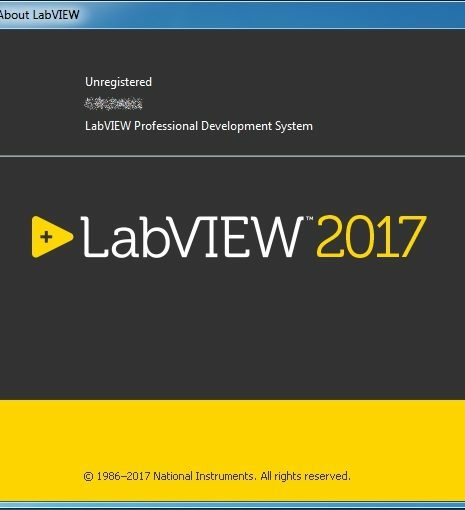 Along with the Analog Discovery 2 working with WaveForms 2015, it has it’s own LabVIEW VI with a custom front panel, LabForms! 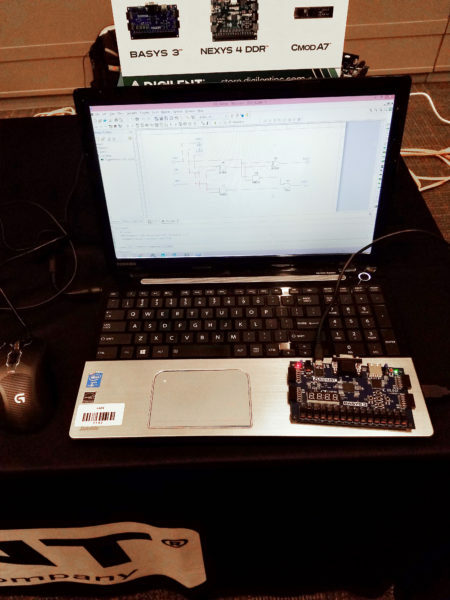 With LabVIEW 2014 or later, WaveForms 2015 and the LabVIEW WaveForms VI installed, you will have access to the mixed signal Oscilloscope, Function Generator, and digital input and output channels. 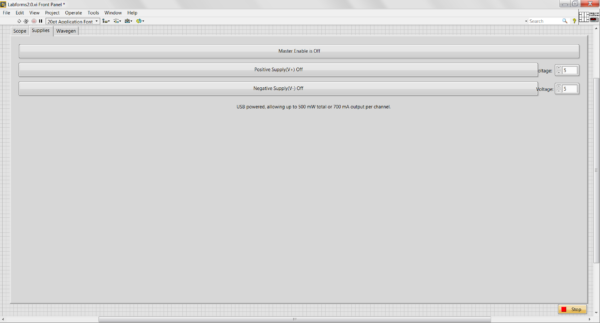 The power supplies in LabForms. You can include these VI’s in your block diagram in order to use the functionality as is, or create custom code, like the DIY ECG, or enabling adding knobs to the Analog Discovery 2. 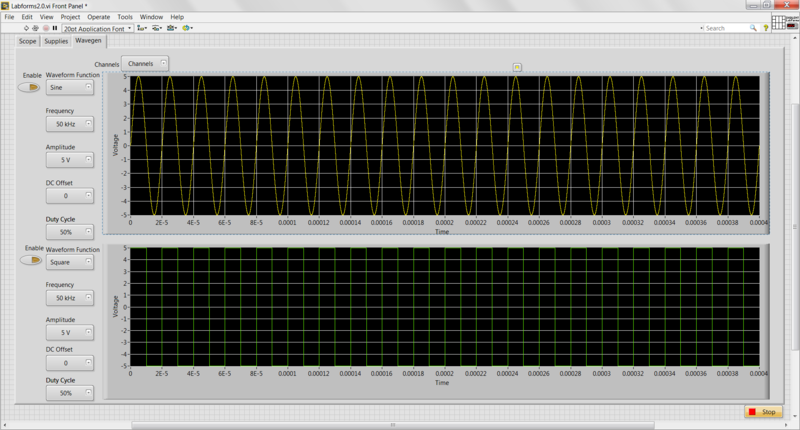 The Digilent WaveForms VIs in the LabVIEW functions palette. Included are a few examples, but in order to get things up and running there’s still a little bit more work needed. 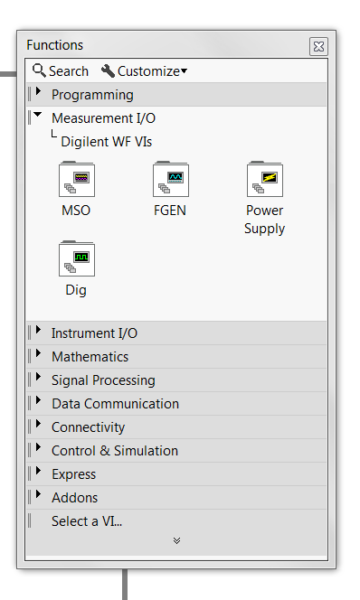 With one more download, the LabForms VI, you’ll have the Power Supplies, Waveform Generator and Oscilloscope up and ready to work with the endless possibilities that graphical programming can provide. 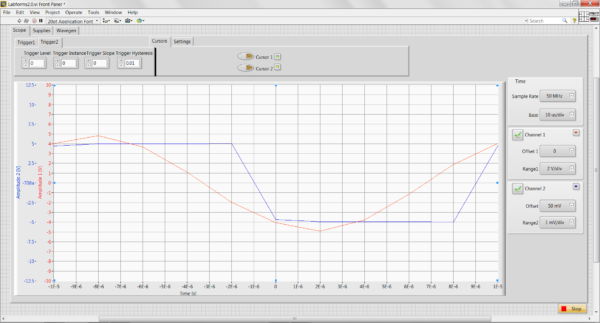 The Waveform Generator in LabForms. At NI WEEK 2017, we had LabForms all set up and ready to be put to the test. 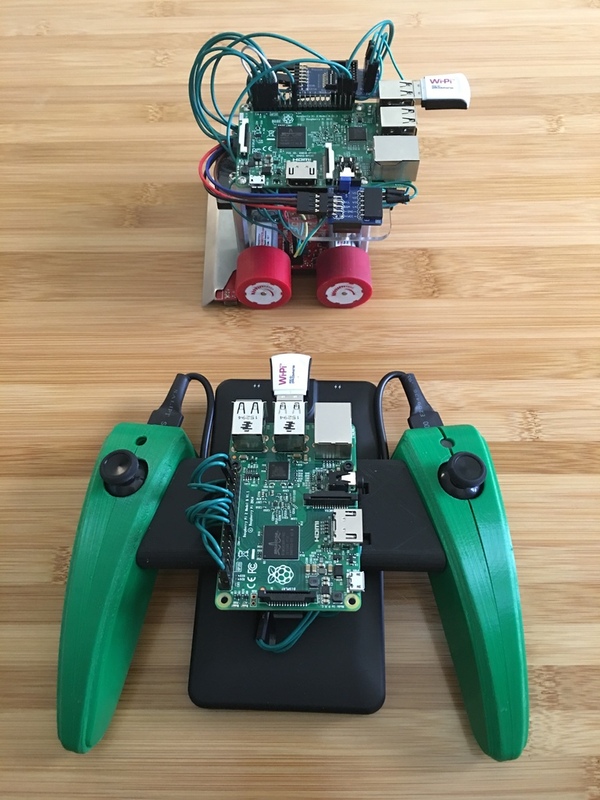 I look forward to seeing everyone at NI week, and if you’ve created a custom VI with the Analog Discovery 2, comment below!